Eoin and Rory Loveless wake up in a small hotel outside of Boston, Massachusetts. They eat a complimentary breakfast - disappointing besides the omelets, according to Rory - take a quick nap, pack their bags, and board a tour bus for another day of travel. Eoin and Rory Loveless wake up in a small hotel outside of Boston, Massachusetts. They eat a complimentary breakfast - disappointing besides the omelettes, according to Rory - take a quick nap, pack their bags, and board a tour bus for another day of travel. After several hours of listening to podcasts and playing Xbox 360 basketball games (Rory "absolutely killed" Eoin), the Castleton-bred brothers arrive in Philadelphia, Pennsylvania to perform in front of a packed crowd at the Johnny Brenda's bar. 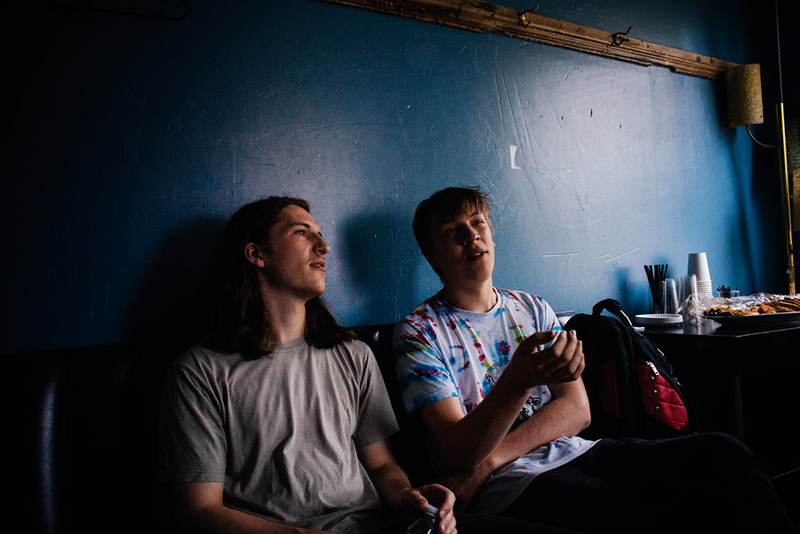 After the release of their second album Undertow, Drenge left their rural English roots behind to tour North America. "There's like, five or six different countries in this place," the drummer Rory jokes about the United States. Now that the tour wrapped up on Monday in Baltimore, Maryland, Drenge is preparing for a summer jam-packed with appearances at festivals like Reading and Leeds, Fuji Rock, and Best Kept Secret. About two hours before doors, Drenge takes the stage for their soundcheck, where they play 'Favourite Son', a fast-paced, bass-heavy single from Undertow. When the song ends, the venue is silent, occupied only by a bartender and Drenge's tour manager Danny, who paces around the stage monitoring the band's sound. "There's too much reverb," the tour manager decides. The band adjusts and continues playing. Though both Undertow and Drenge's self-titled debut share the same producer, Ross Orton, Undertow applies a more technical approach to Drenge's grunge and grit. 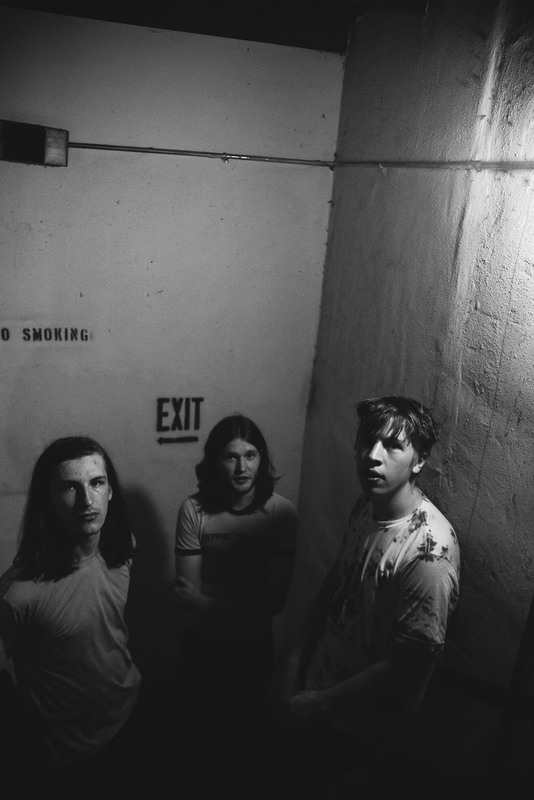 "I think Ross took control on the first one because we weren't sure what we wanted," Rory says, sitting on a black leather couch in the Johnny Brenda's green room. "But with this one, we knew how we wanted it to sound. I think we wanted to experiment more with the more experimental, sonic side of the band." 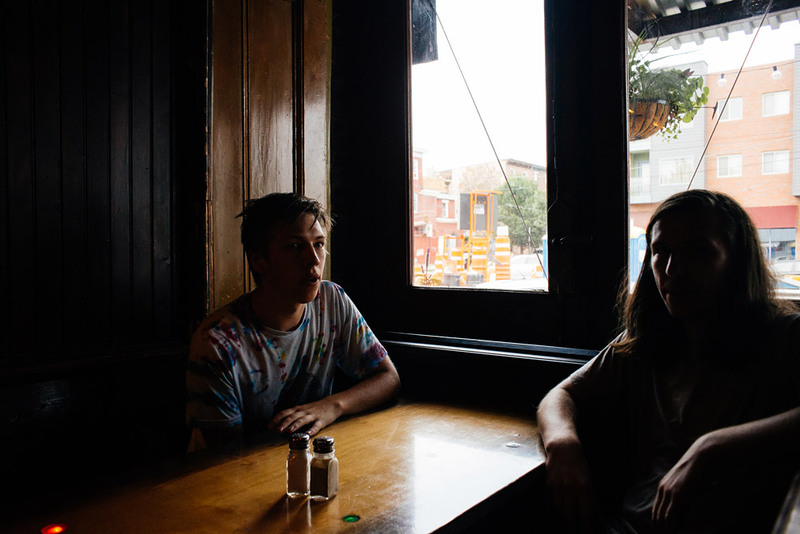 The first song on Undertow after a minute-long, vaguely psychedelic introduction is 'Running Wild', which illustrates the band's noticeable development since the 2013 release, Drenge. In the midst of a spacey, resonant guitar riff, Eoin's voice echoes with a heavy reverb effect, adding a shoegaze-like tone to Drenge's grungy repertoire. 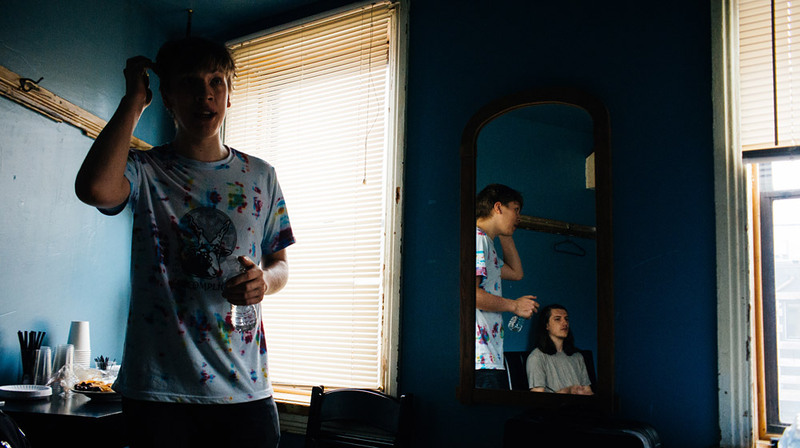 Backstage before the show, guitarist and vocalist Eoin Loveless snacks on a Mediterranean vegetable platter, wearing a splattered tie-dye shirt and jeans. He talks animatedly about 'No Effects', a podcast in which Jesse Cohen from the Brooklyn band Tanlines interviews fellow musicians (Drenge recently appeared on an episode of the podcast). Eoin listens to the podcast frequently on tour buses, finding it engaging and comforting to hear other bands discuss their experiences. "There's just another level of reference points that no one really talks about," Eoin says. Rory still hasn't figured out how to pass time on the tour bus. He tosses an empty water bottle across the green room, which lands perfectly in a small recycling bin. "I've been getting really good at that on tour," he says, laughing. "We were sitting outside this bagel shop in New York City, and I rolled this bit of paper and threw it from about five or six yards away. Nailed it. I didn't milk it. I just walked away." Rory's tour memories are deeper than that, though. "Cultural heritage is really interesting to me," he says, reflecting on past trips to the Philadelphia Museum of Art and authentic fish tacos in Southern California. "There's not as much a mix of cultures [in the UK] as there is in America. There are cities like Manchester where they have a strong Irish background, but it's not like Philadelphia where [culture] is celebrated." He jokes about how excited he was to use his "rudimentary" GCSE Spanish knowledge at a Mexican restaurant in Los Angeles with a Mariachi band. Despite their long day of travel, Drenge are still in good spirits - they're known for being a light-hearted, comedic band, even going as far as to call some of their music funny (Rory thinks of the cheesy opening riff to the single 'We Can Do What We Want' as a mockery of over-dramatic music). But when Drenge takes the Philadelphia stage just before midnight - nearly twelve hours after they began today's travel - their music is anything but a joke. If the packed Johnny Brenda's bar is any indication, there's something special about Drenge and their dark, infectious grunge rock - and with just days to go until they journey through the international summer festival circuit, Drenge's crowds will only keep growing. But no matter what the future holds for brothers Eoin and Rory Loveless of Drenge, they'll probably be laughing along the way. Drenge's new album, Undertow, is out now on Infectious Music.